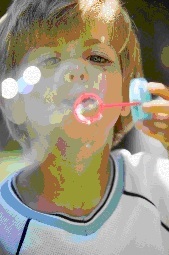 Children love to blow bubbles. Let's admit it, so do lots of adults. This would make a good outdoor prayer time then. Blow bubbles, But here is how we make it a prayer. First, think of the person you want to bring to God in prayer. Then as you blow the bubble think about the things that person needs, what you are asking of God for the person. Then watch those bubbles rise on the breeze just as your prayers are lifted to God by the Holy Spirit. Know that God hears and receives them as you watch them drift away. This is similar to bubble prayers. Again, think of the person you want to bring to God in prayer. 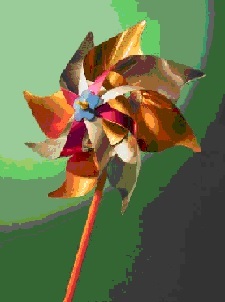 As you blow on the pinwheel, think about how you want God to help or bless that person. As you watch the pinwheel spin, trust that God will answer those prayers when the time is right. Sometimes the wheel spins a long time; sometimes not so much. Sometimes the answers to our prayers take a long time; sometimes not so much. They were to fill in the blank with someone's name to pray for that person. 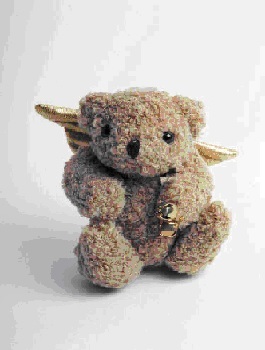 Another variation could be bedtime prayers holding a favorite stuffed animal as a child says their God Bless prayers. I remember another Vacation BIble School project in which simple cloth bears were made with pockets. The bears were cut in a flat pattern as two matching pieces of fabric. Another small square was cut for the pocket to go on the bear's front. Volunteers stitched the pocket open on the front, and stitched around the bear with right sides facing leaving an inch or two along the side of the bear. The bears were turned right side out. This was all done before class. Children then stuffed the bear with polyester stuffing (You could also use cotton balls or old hosiery.). Then children write a short prayer on a short prayer on a piece of paper and tucked it in the bear's pocket. These bears were meant to be given away to the person for whom that prayer was intended. You could also let children keep the bear to keep taking that prayer out to read at prayer time. Another option is to make two matching bears. Give away one with a blessing for that person in it's pocket. Write a prayer for the person to tuck in the twin bear's pocket. Let the child take that bear home to remember to pray for the person.